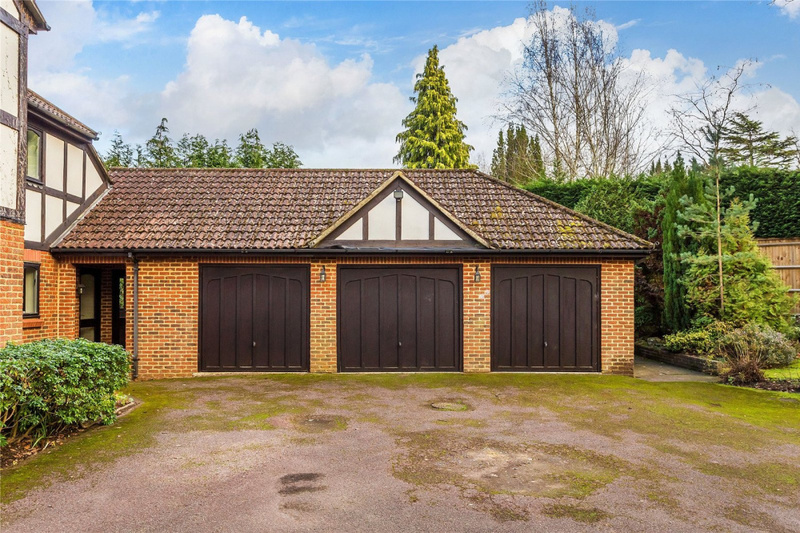 Approached via a long private tree lined driveway and set well back from the road, the property is a detached family house built in 1986. 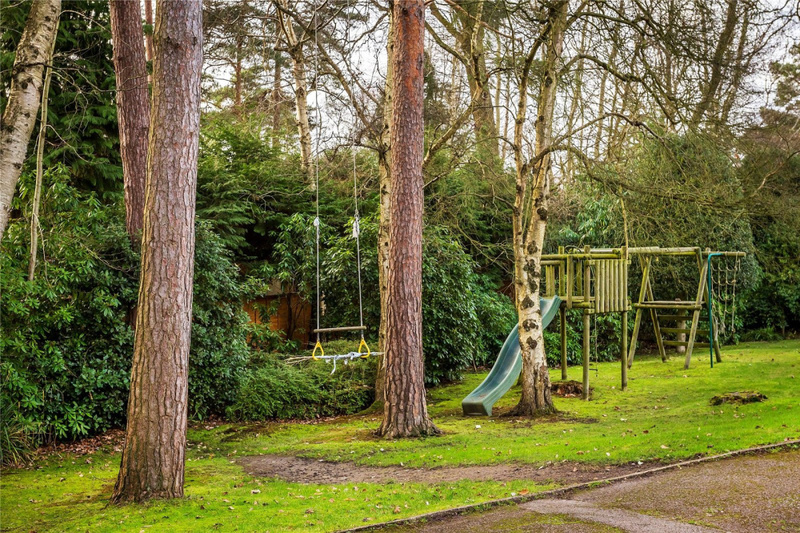 It provides bright accommodation which is ideally suited to family life. 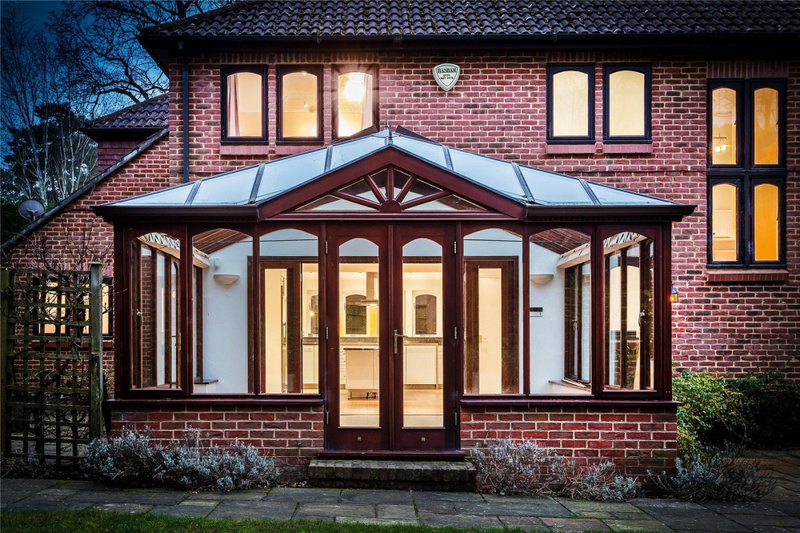 The gabled outside porch leads to the front door which opens onto the entrance hall off which is a coat cupboard and separate cloakroom. 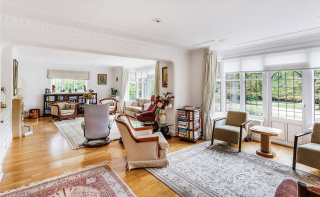 There is a triple aspect sitting room with limestone fireplace and double doors to the sun terrace and garden. 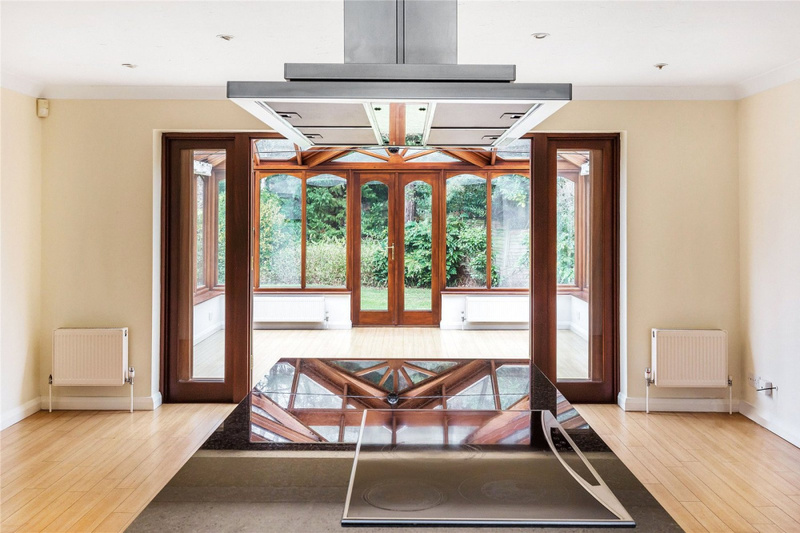 Glazed double doors open to the dining room and there is a study overlooking the rear garden. 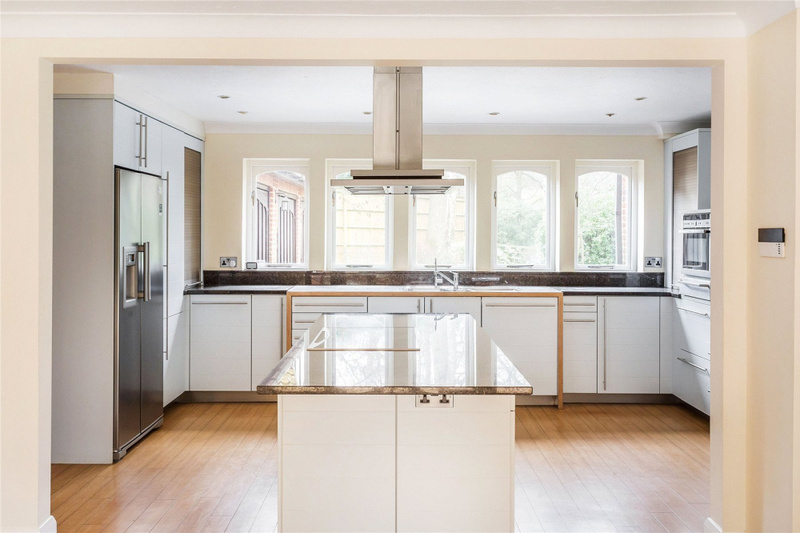 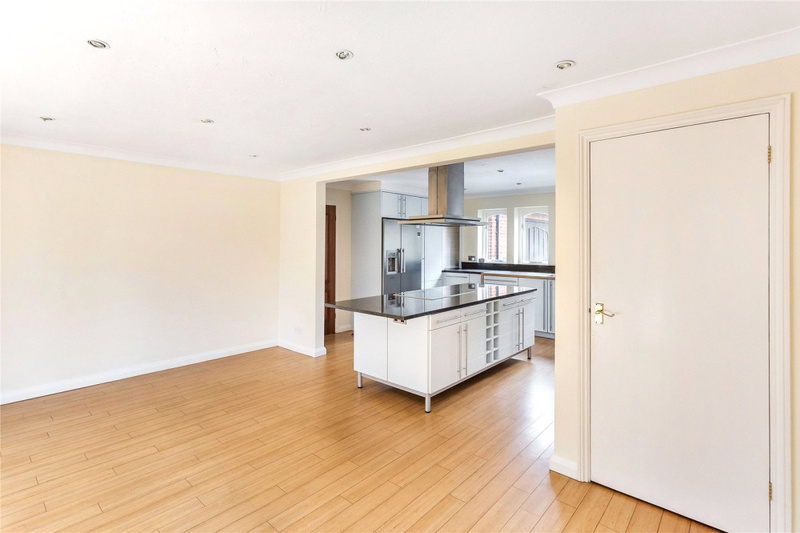 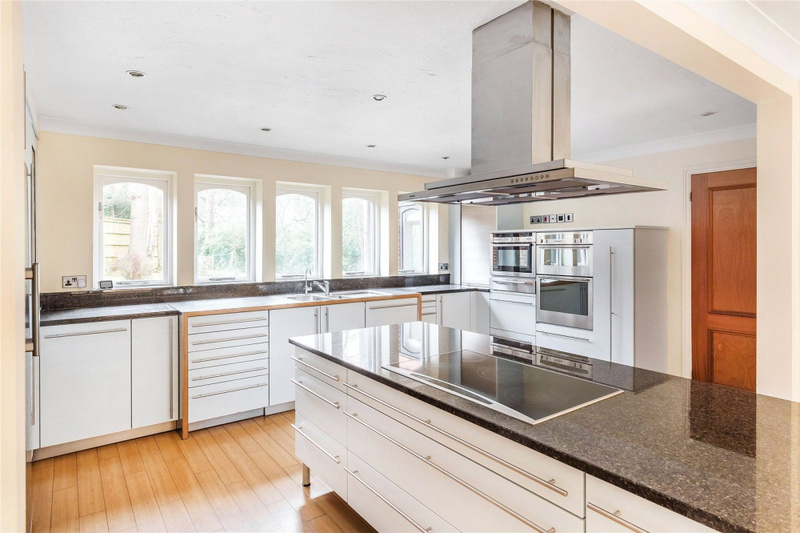 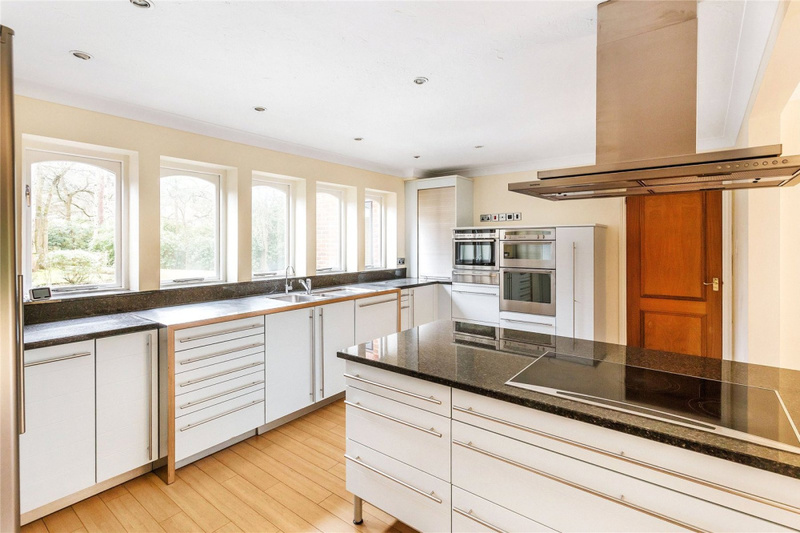 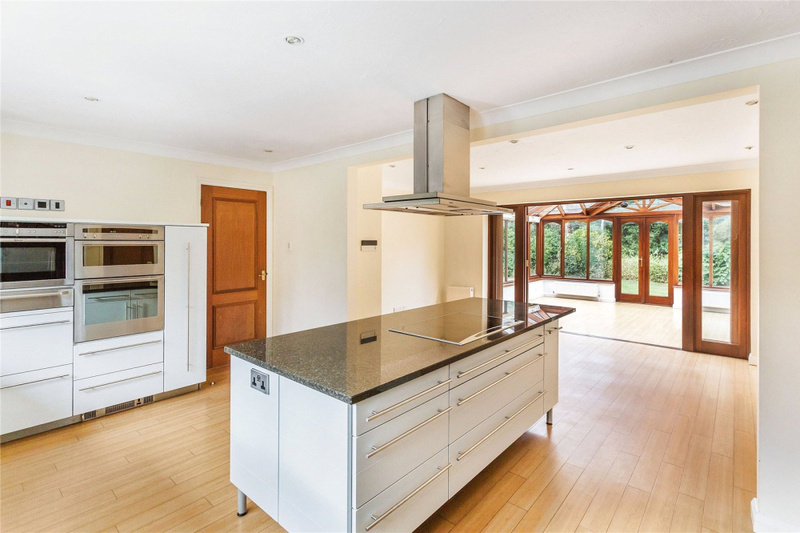 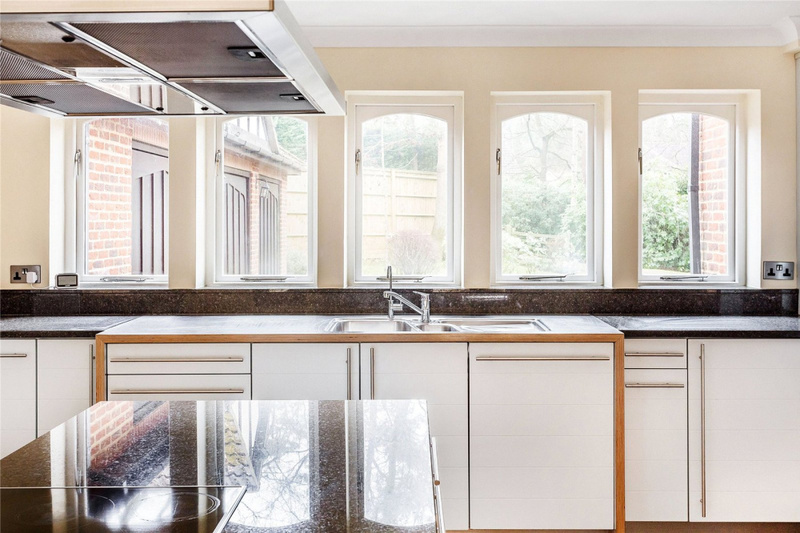 The Poggenpohl kitchen/breakfast room is of particular note with granite worktops and integrated dishwasher, double oven, combi/microwave oven, plate warmer and ceramic hob. 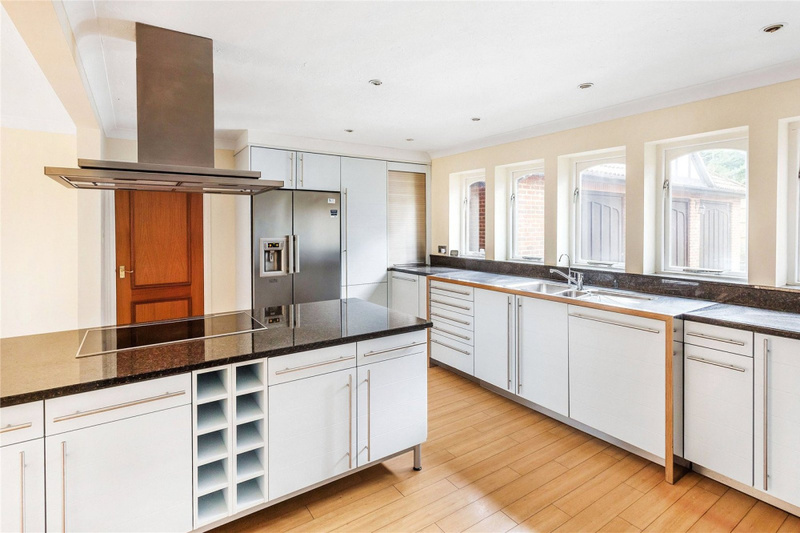 There is also space for an American-style fridge/freezer. 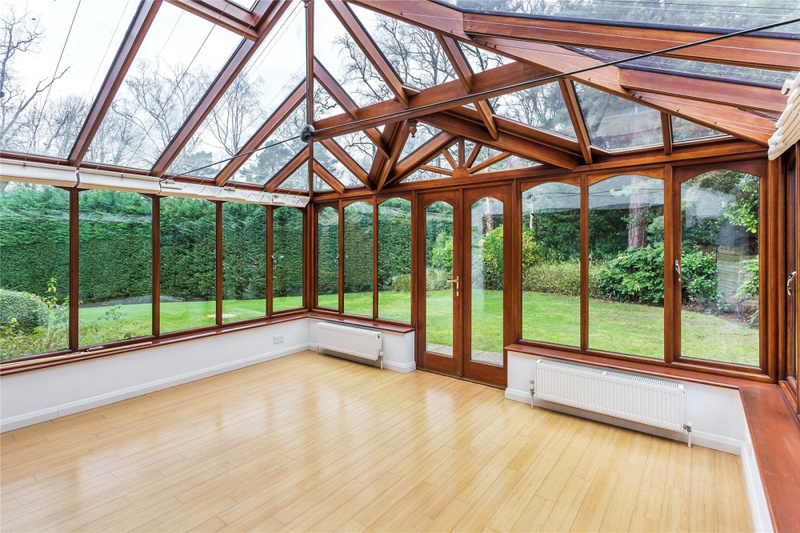 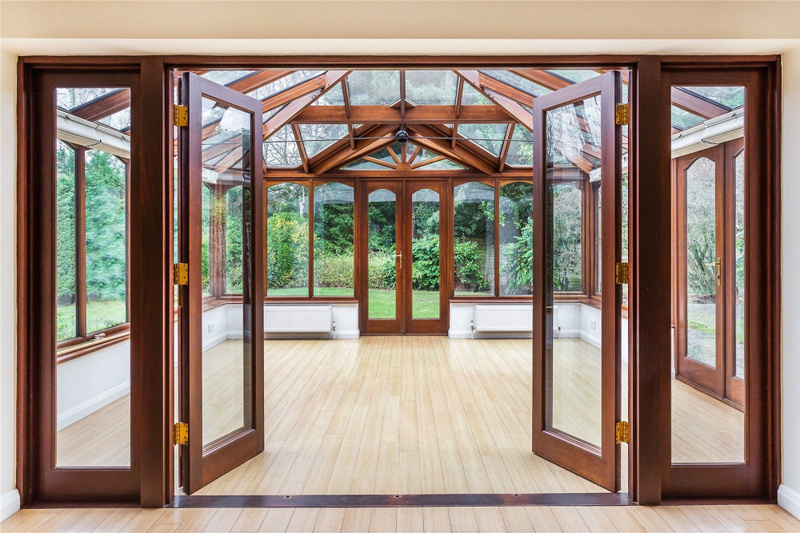 The Jeremy Uglow hardwood conservatory links to the breakfast area through glazed bi-fold doors and has doors to both the rear garden and to the side patio. 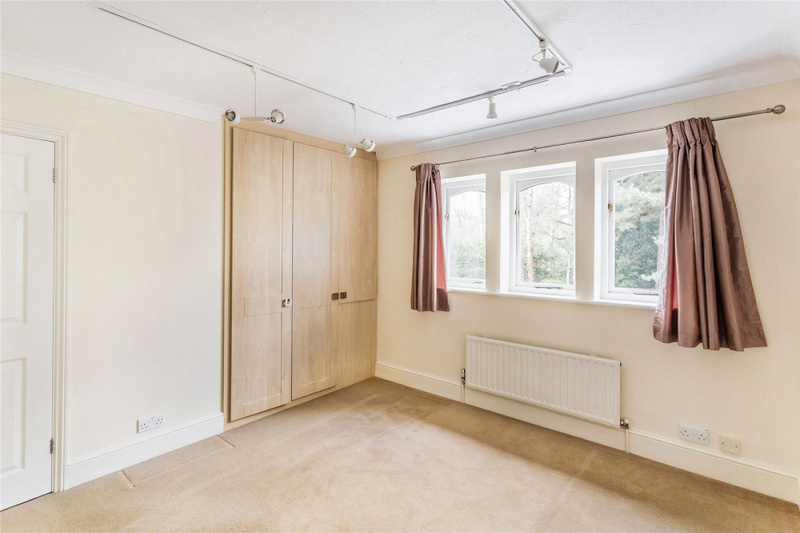 There is also a utility room and a boot room with internal door to the garage. 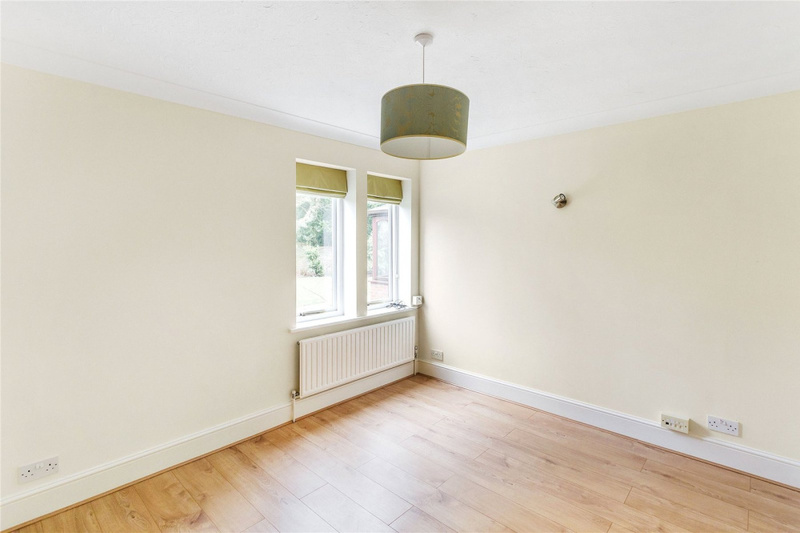 The majority of the downstairs has Amtico beech wood-effect flooring. 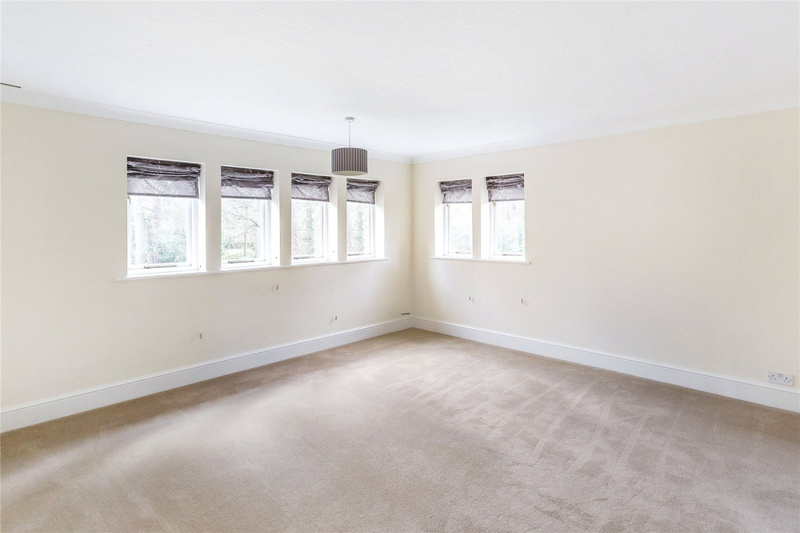 To the first floor is the master bedroom with luxury en-suite bathroom, dressing area and fitted wardrobes. 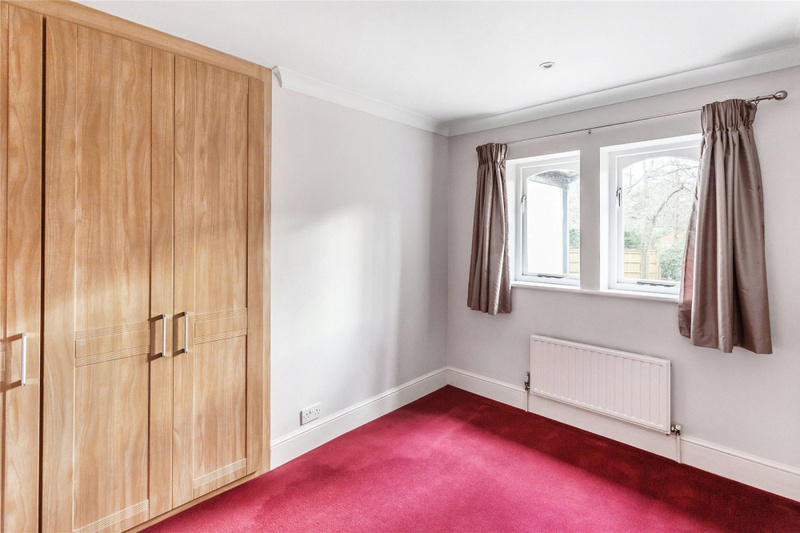 The guest bedroom has an en suite bathroom and dressing area with built-in wardrobes. 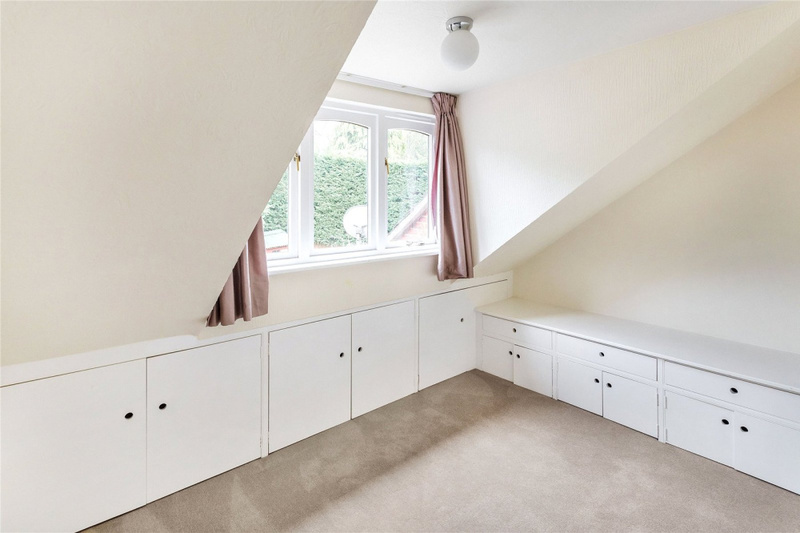 Bedroom 3 has its own study/playroom with fitted cupboards. 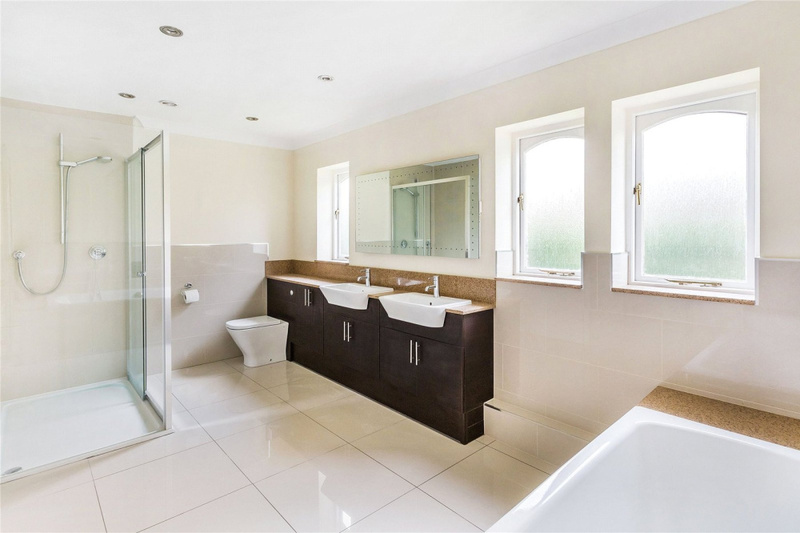 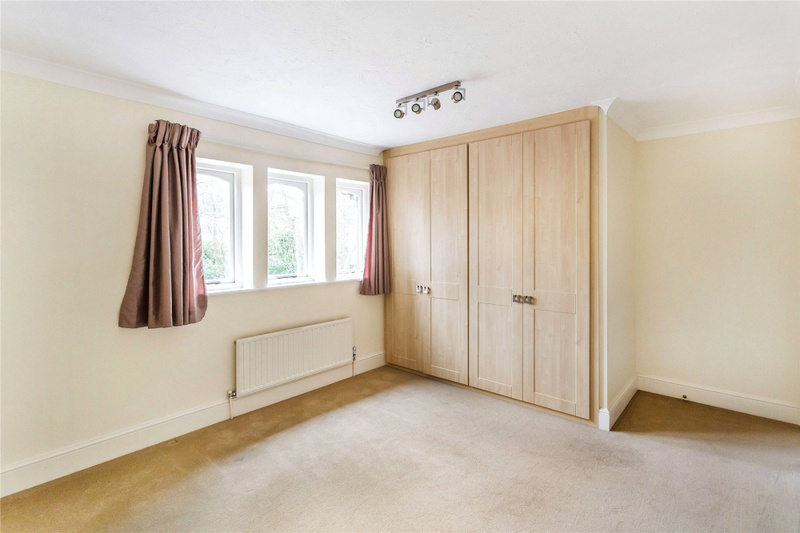 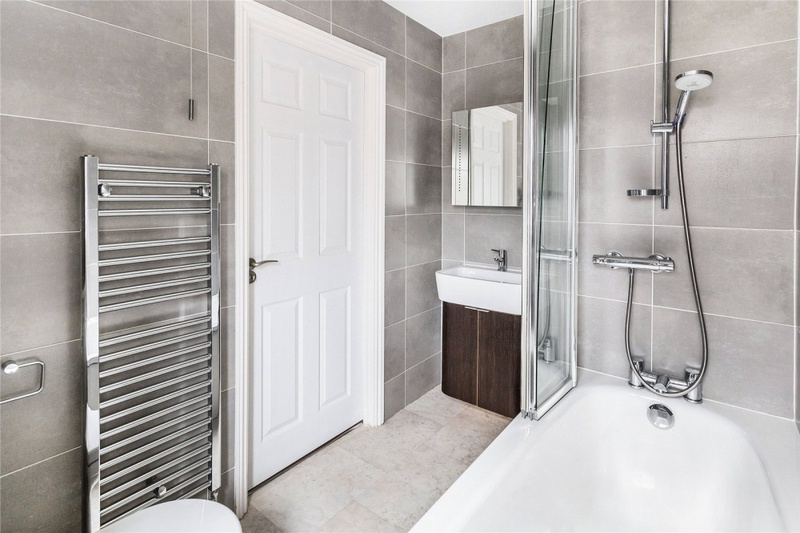 There are 2 further bedrooms with built-in wardrobes and a family bathroom. 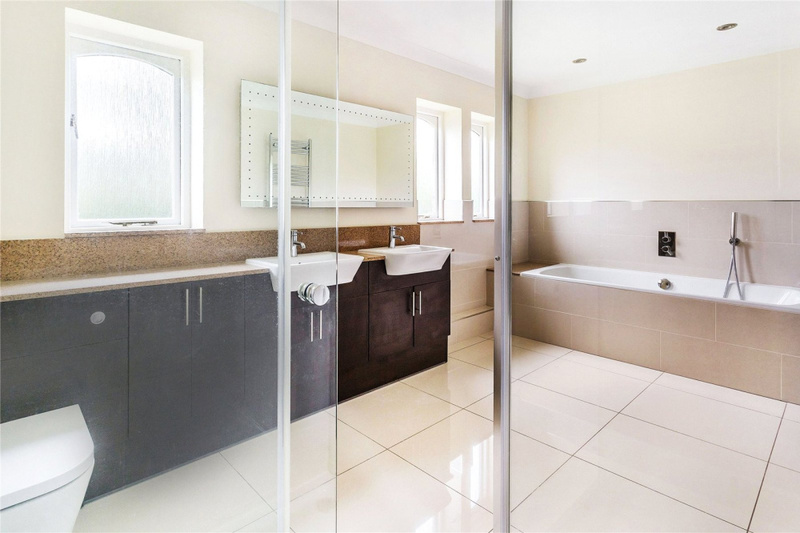 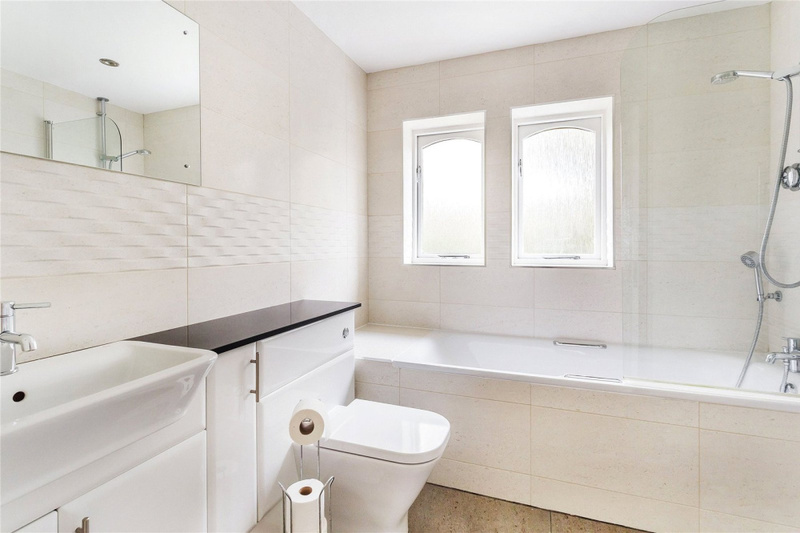 All bathrooms in the property have been recently updated. 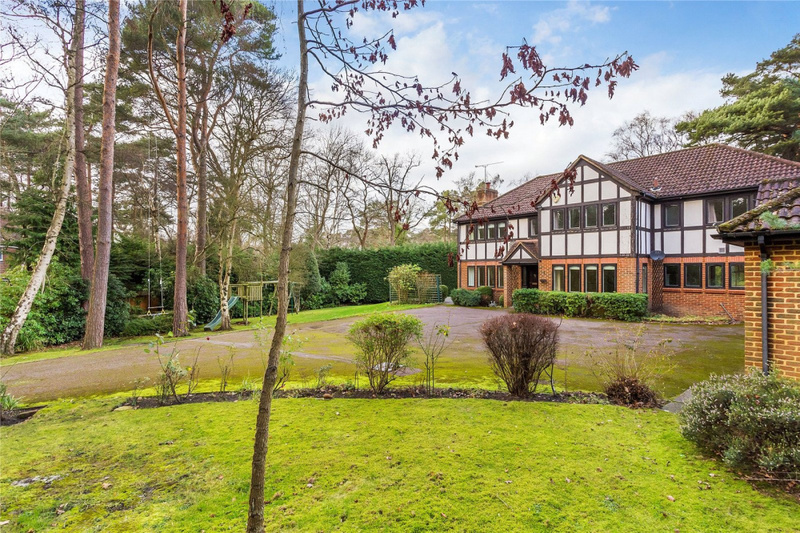 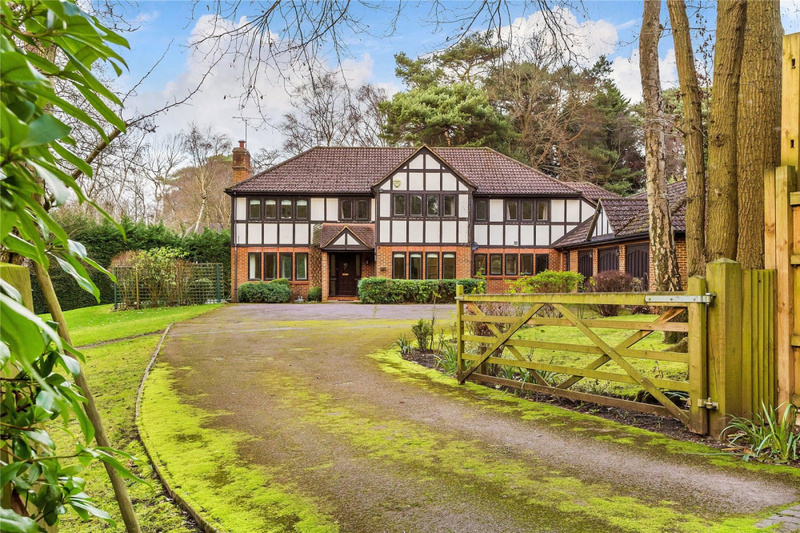 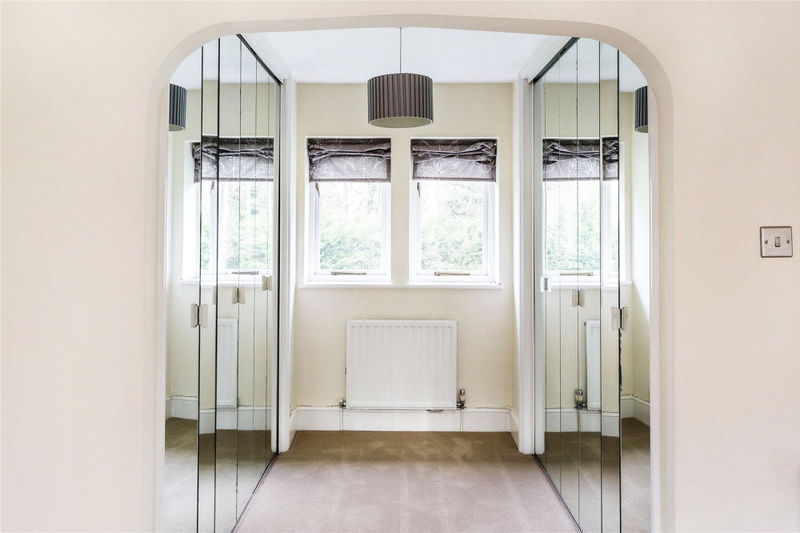 Mile Path is one of the premier private roads in desirable Hook Heath with its own Lawn Tennis and Croquet Club and close proximity to three golf courses. 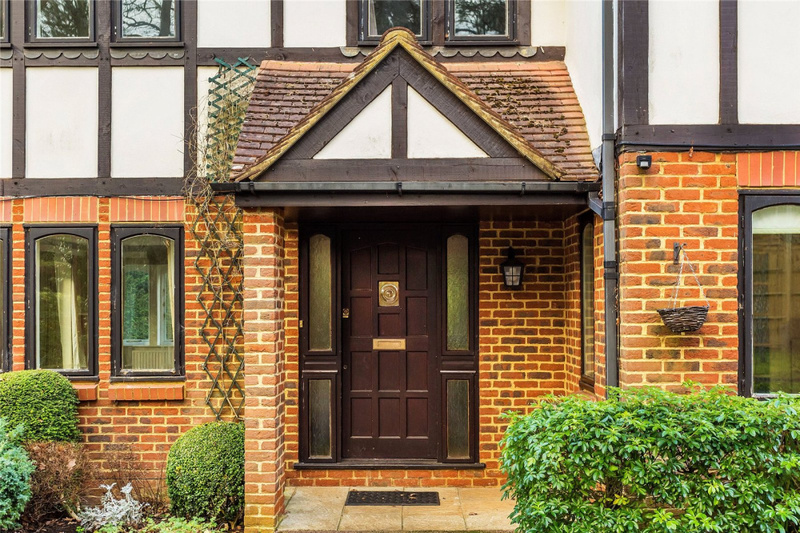 About 1.8 miles away is Woking town centre with its wide variety of shops, social and recreational amenities together with a main line station providing frequent services to Waterloo in about 26 minutes. 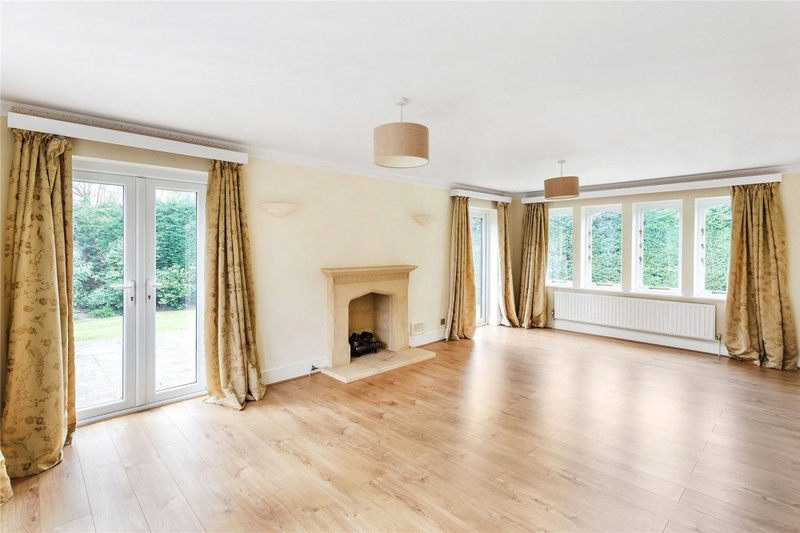 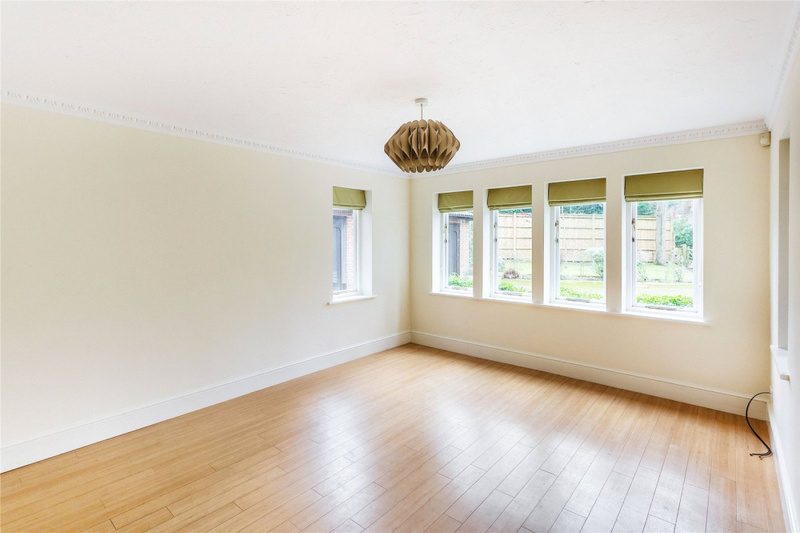 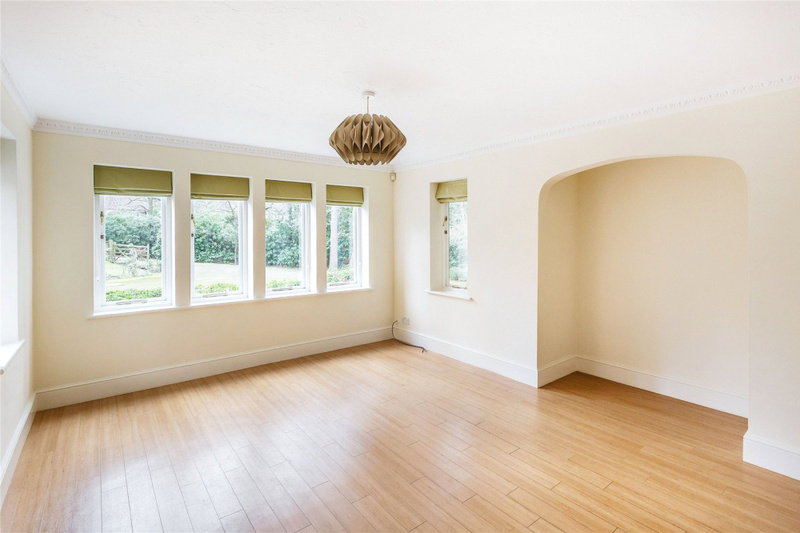 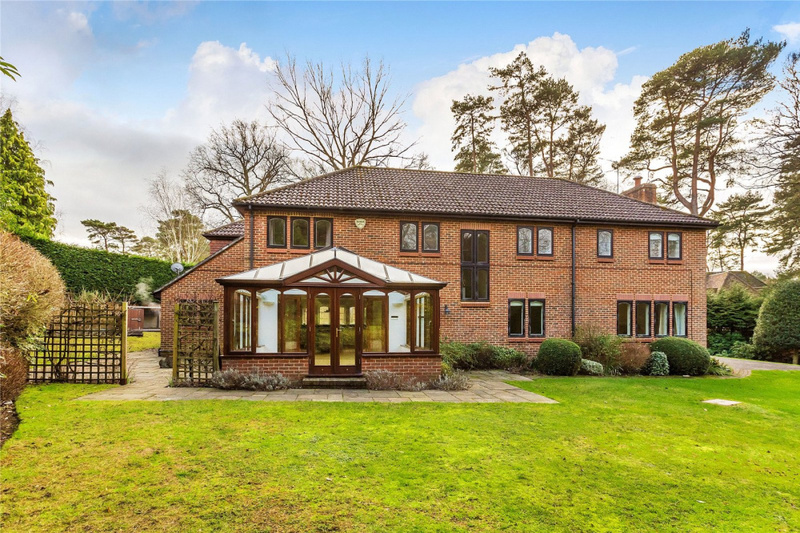 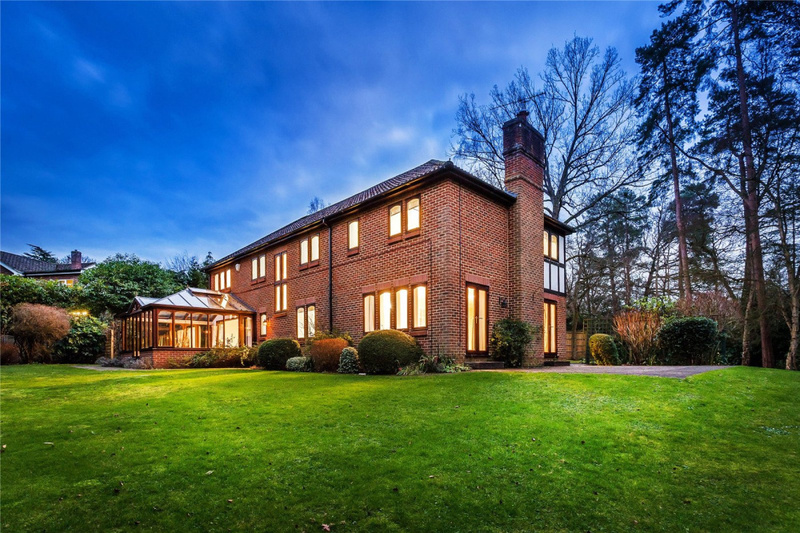 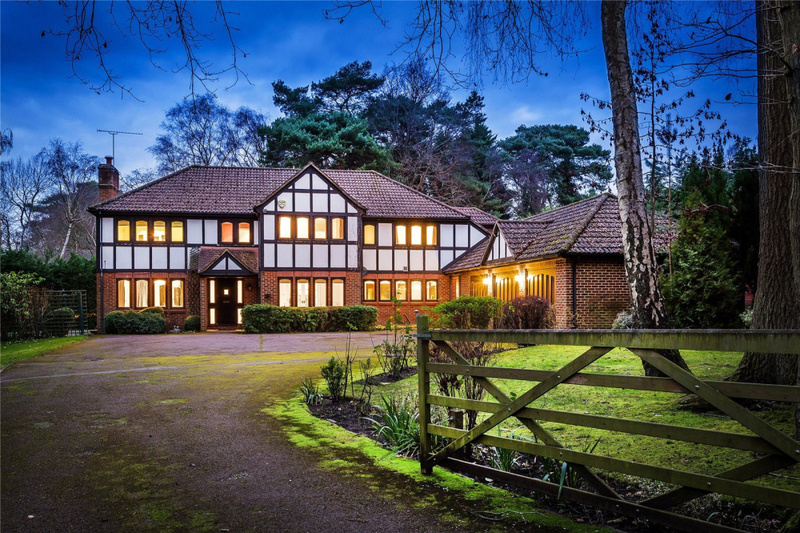 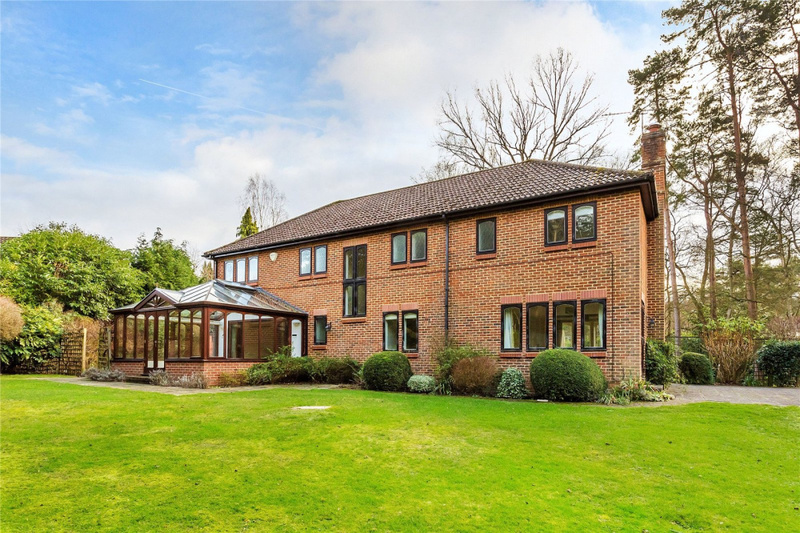 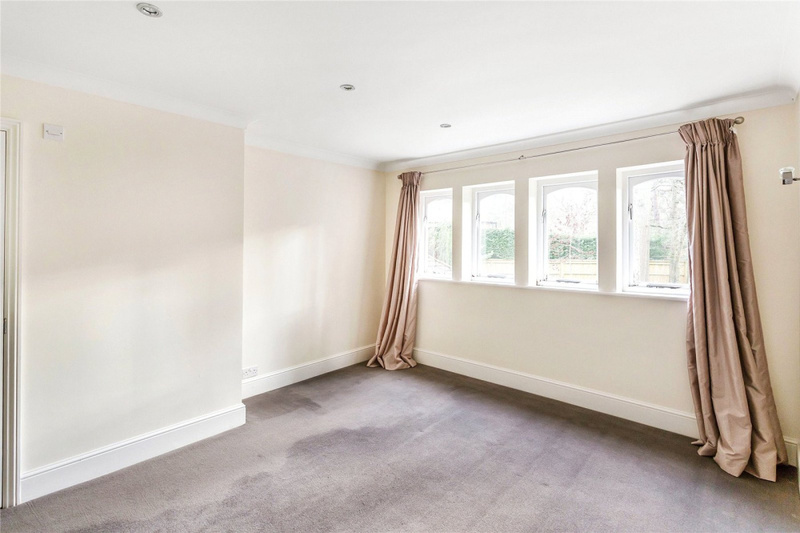 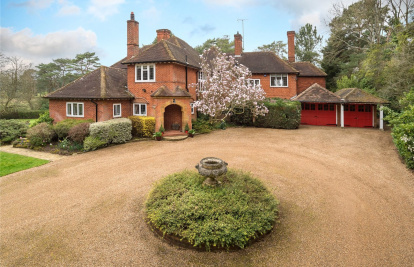 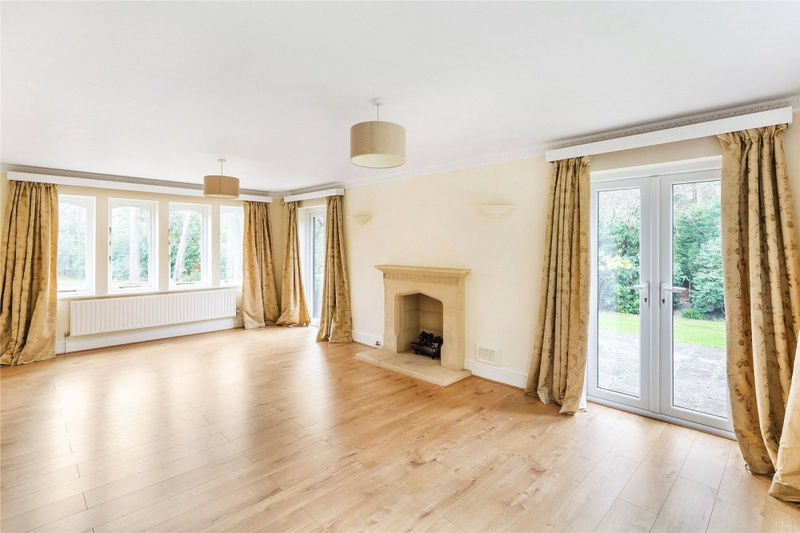 The property is also ideally located for access to Guildford with its highly regarded schools and shopping facilities. 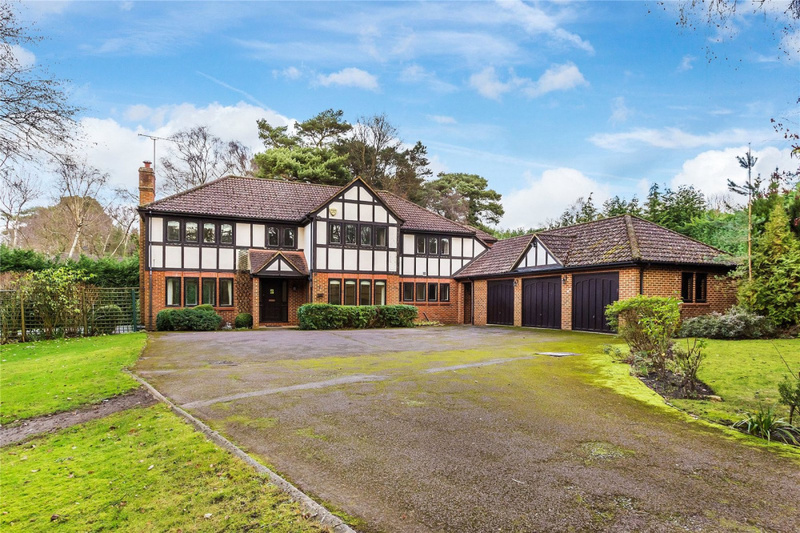 The M25 is within 7 miles for access to the national motorway network and Heathrow and Gatwick Airports. 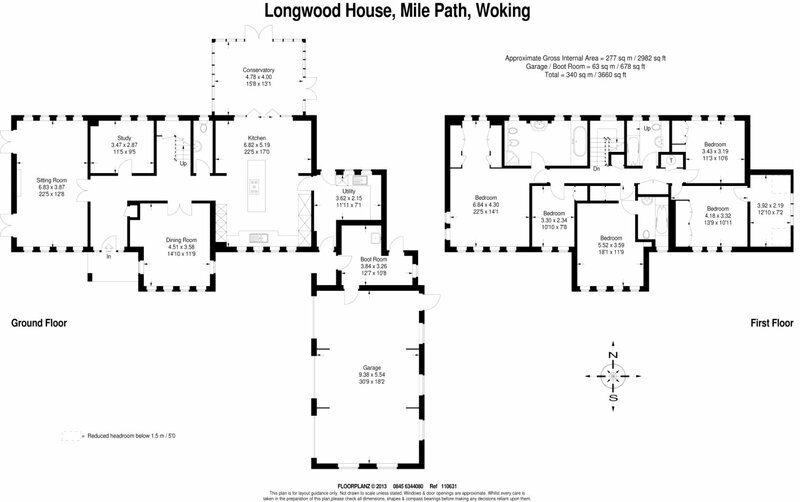 The A3 provides links to both London and the south coast. 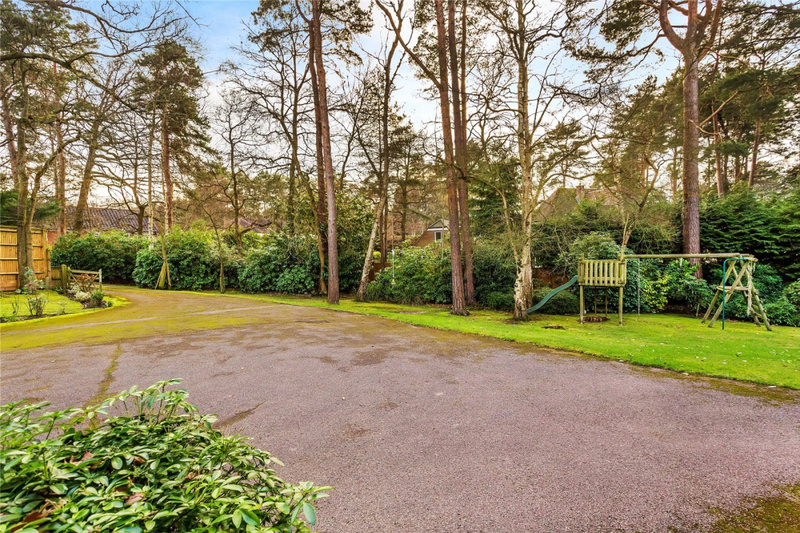 The gardens are a beautiful feature of the property which is approached over a driveway bordered by trees and shrubs leading to a parking area in front of the triple garage. 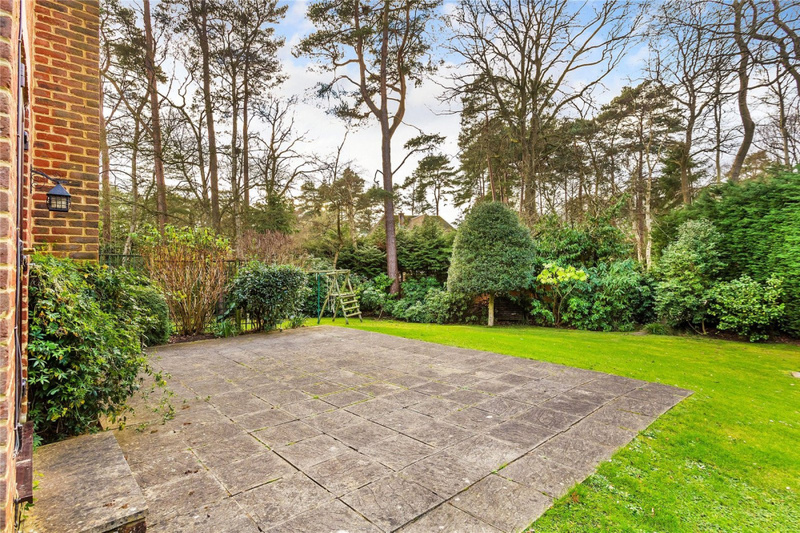 To one side, separated by a trellis and gate is a secluded paved terrace. 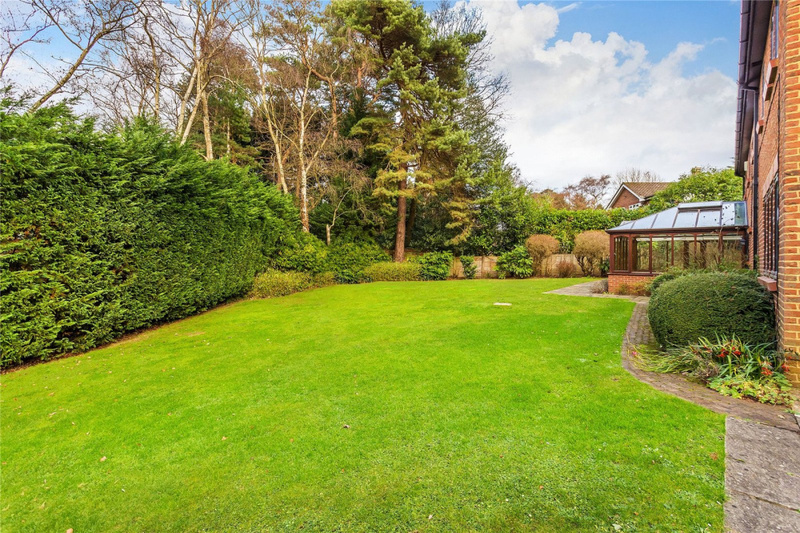 Further sun terraces adjoin the house and lead on to lawns with flower and shrub beds and a variety of mature trees. 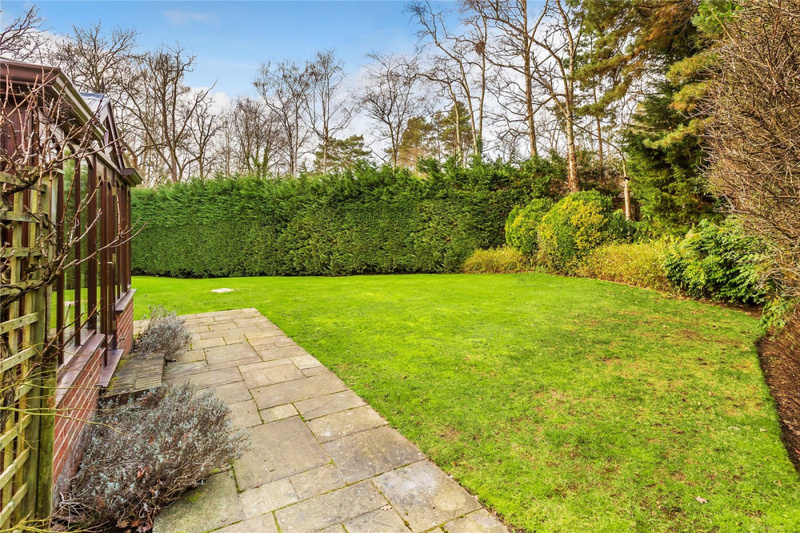 There are high hedges to the boundaries which provide a good degree of privacy and seclusion.